Nigerian minister of Defence, General Aliyu Gusau has confirmed that he was a school mate of General Muhammadu Buhari who is currently the Presidential candidate of All Progressives Congress (APC) for the February 14 election. 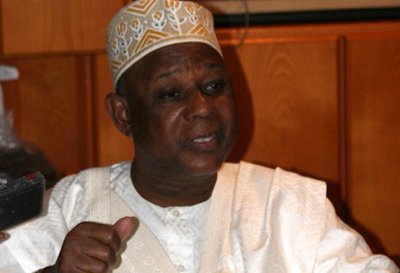 General Gusau, who reacted today to the lingering controversies dogging the secondary school certificate of General Buhari when he spoke to newsmen, wondered why uptil now, the Old Students Association which was formed years ago had not come out to defend its member, in the person of General Buhari. General Gusau said that he met General Buhari in the Katsina Provincial Secondary School when he was enrolled into the School in January 1960, the year of independence. “General Buhari, at that, was in form five. I stayed two years with General Buhari at the school. They passed out in 1961 and we passed out in 1964. Buhari had leadership qualities since secondary school; in form five, he was a House Prefect. “Their set went up to form six but we were the first set that finished school at form five. Normally, out of those in form five, the school authorities used to pick House Prefects and when they get to form six, House Captains were chosen from those who were House Prefects. In Buhari’s case, he was a House Prefect in 1960 when we joined. By 1961, when he was in form six, he was chosen to be the Head Boy of the School.